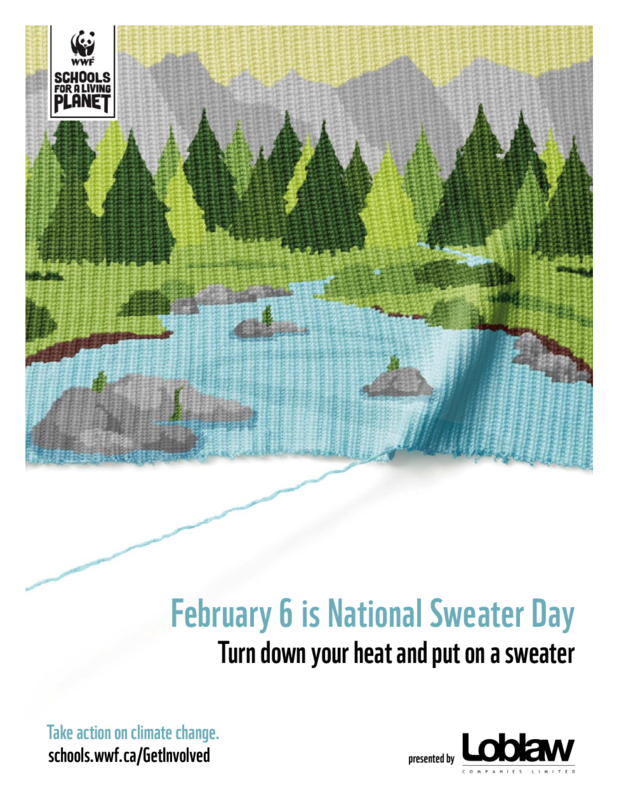 For those of you that don't know, National Sweater Day was launched in 2010 by the World Wildlife Fund (WWF) with the goal of having Canadians turn down the thermostat by two degrees and wear a sweater instead. 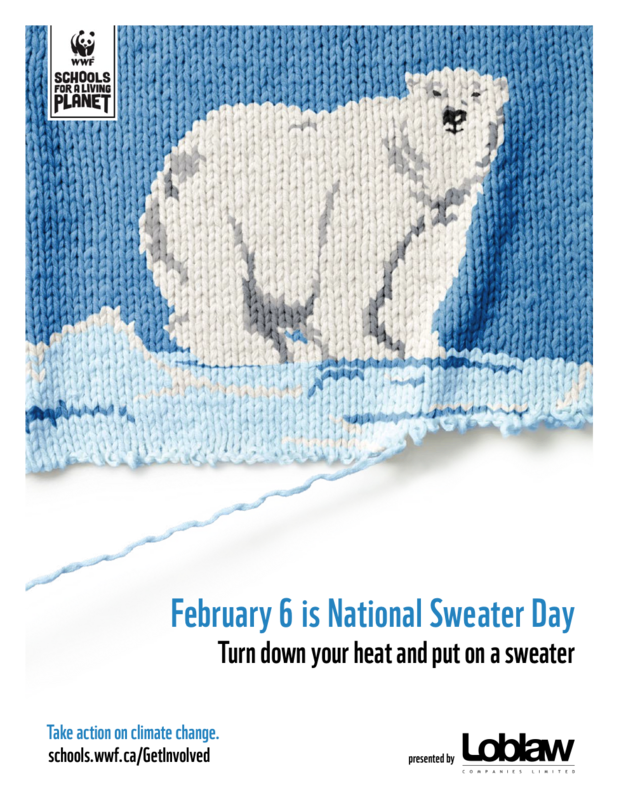 The posters for Sweater Day this year are designed to look like an urban core, forest landscape, and polar bear; each picture is knitted as though it is a design on a sweater. If you are Canadian, you can sign up here to take the pledge. Otherwise, you can contribute on your own. 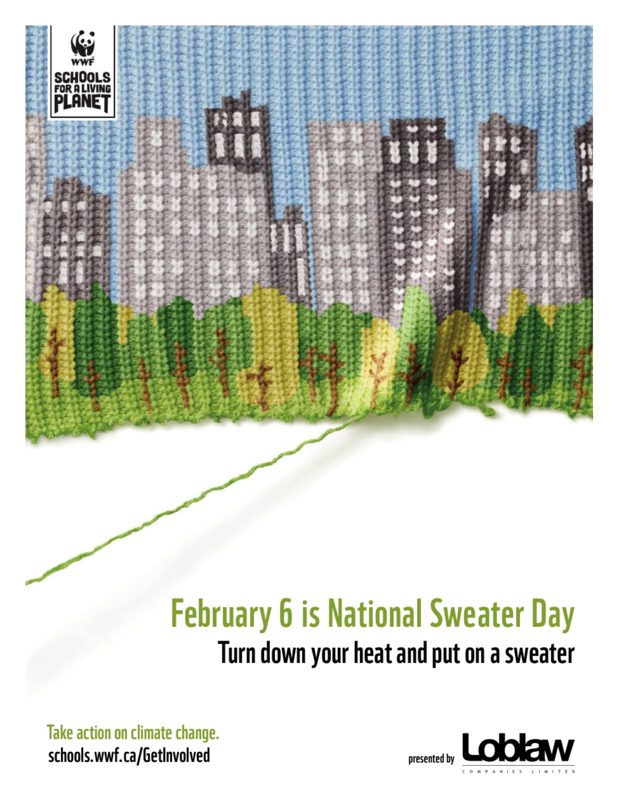 On February 6th, take the pledge: Turn your thermostat down 2 degrees and wear a sweater. And if you are looking for a great sustainable company to get behind for sweater day, check out this article I found on being a better consumer in a deceptive "eco" market.